The National Institutes of Health (NIH) has released two new fact sheets to help consumers determine which dietary supplements are safe and effective. The first fact sheet lists supplements that are promoted to improve exercise and athletic performance, while the second fact sheet lists supplements for weight loss. In each database, the NIH describes what is known about the effectiveness and safety of many ingredients in the products. Sellers of fitness supplements -- which are sometimes called “ergogenic aids” -- may claim that their products improve strength or endurance, increase exercise efficiency, help to achieve a performance goal more quickly, and increase tolerance for more intense training. 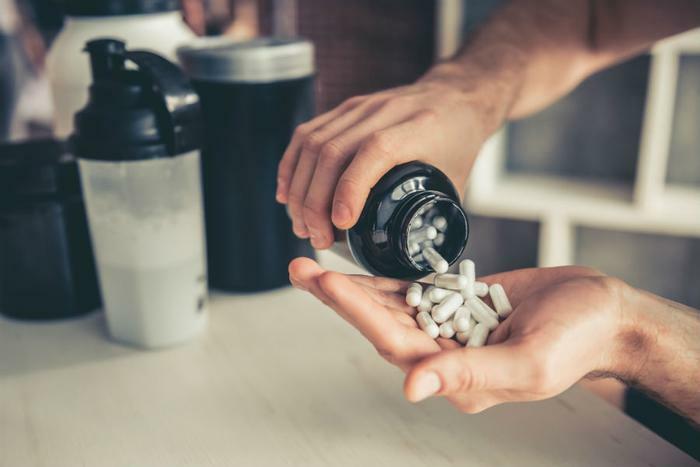 "Dietary supplements marketed for exercise and athletic performance can't take the place of a healthy diet, but some might have value for certain types of activity," Paul Coates, director of the Office of Dietary Supplements (ODS) at the NIH, said in a statement. "Others don't seem to work, and some might even be harmful." In this fact sheet, the NIH aims to cut through the confusion by giving a rundown of the science available on more than 20 ingredients found in fitness supplements. Antioxidants, beetroot, tart cherry, branched-chain amino acids, caffeine, creatine, and protein are just a few of the most common. While creatine might be helpful in specific circumstances -- like “short bursts of high-intensity activity like sprinting or weight lifting,” the NIH says it won’t help for endurance efforts like distance running or swimming. Similarly, drinking beetroot juice might improve aerobic exercise performance, but there’s no scientific evidence that supplements containing beetroot powder have the same effect. When it comes to dietary supplements for weight loss, consumers have plenty of options to choose from. However, some weight loss supplements contain ineffective or unsafe ingredients. This new resource provides details on more than 24 ingredients commonly found in weight loss supplements, including green tea extract, capsaicin, chromium, garcinia, hoodia, and raspberry ketones. Chromium, for example, is safe and might help you lose a very small amount of weight and body fat. However, the agency says raspberry ketones haven't been studied enough to know whether they're safe or effective. And while it’s safe to enjoy a cup of green tea, you’re better off avoiding green-tea extract pills. The NIH notes that green-tea extract has been linked to liver damage in some people. Bitter orange also carries safety warnings. The NIH urges consumers to talk with their healthcare provider before taking a dietary supplement to lose weight or improve fitness, especially if they have a medical condition or are taking any other medication that might interact with the supplement.